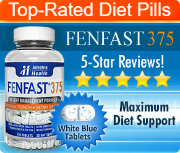 Lipodrene: Are Lipodrene Diet Pills a Safe or Dangerous Choice? 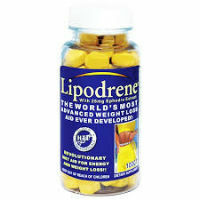 Lipodrene is a nonprescription weight loss supplement designed and produced by a company called Hi-Tech Pharmaceuticals. 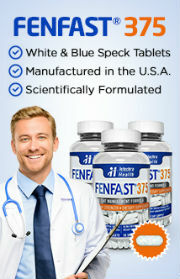 This product is made for sale in the United States despite the fact that – if it does indeed contain the ingredients printed on its label – it is not legal for sale here. Regardless of what many manufacturers claim, ephedra, ephedrine, ma huang and ephedra extracts are all banned by the FDA as ingredients in weight loss pills. That said, Lipodrene advertises that it contains ephedra extract as its top ingredient, containing 25 mg of the plant’s leaf extract. The FDA did not make this ban lightly. Many people who were using ephedra-based products to control their weight suffered dangerous side effects, often having to do with the nervous or cardiovascular system. There were 22 reported deaths associated with this substance, though it is suspected that there were likely many others that occurred without knowing the cause. Since ephedra was banned, many companies have continued to produce diet pills that contain it, either ignoring the law altogether or attempting to deceive customers by telling them that it is legal in certain ways or in certain amounts. It is not legal in any amount. Any consumer who is uncertain about whether or not a product has legal and safe ingredients in its formula should speak with a doctor or pharmacist before making a purchase let alone taking it. The reason is that even purchasing a diet pill containing ephedra is legal in the United States, so it is better to know the law before buying. Even beyond the ephedra in this formula, the rest of the ingredients in Lipodrene are also troubling. At the time this review was written, the Lipodrene ingredients were: Ephedra Extract 25mg (leaves), Senegalia Berlandieri Extract (leaves) [Yielding 200mg Phenylethylamine Alkaloids Including: Methylsynephrine, N-Methyl-B-Phenylethlamine, N,N-Dimethylphenylethylamine, Phenylethylamine], Phenylethylamine HCl, 25mh Synephrine HCl, Theobromine, Green Tea Extract (45mg EGCG), Methylhexamine HCl, Hoodia Extract (cactus), Cassia Nomame Extract (plant), Naringen (fruit), 6,7 Dihydroxybergamotin (fruit), 5-Methoxytryptamine HCl, L-5-Hydroxytryptophan, Yohimbine HCl. It is clear that there are a large number of stimulants in this formula, including the combination of synephrine and caffeine, which is a combination against which the FDA has advised consumers from using. These two ingredients, when combined, increase a user’s risk of heart attack and stroke. Considering that ephedra on its own also increases a user’s risk of heart attack and stroke, it is clear that this product was not designed with a user’s health or safety in mind.